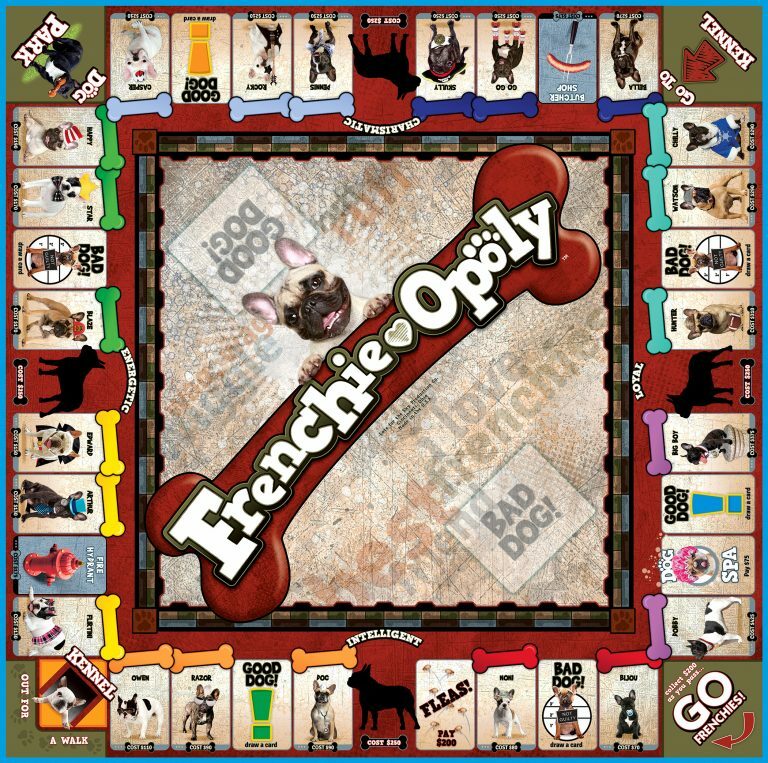 Frenchie-opoly is a game of tail-wagging fun! Collect your favorite Fench Bulldogs and play hard! Intelligent, energetic, charismatic, loyal… Meet the Frenchie! Imagine one adorable face on a little canine body-builder physique mixed with friendliness and a dash of stubbornness. Meet the French Bulldog, a pleasant, easy-care companion, who is playful, affectionate, and absolutely hilarious! Despite the name, the breed originated in England as a smaller or “toy” version of the English Bulldog. The Frenchie’s easy-going temperament makes this dog an ideal family member. 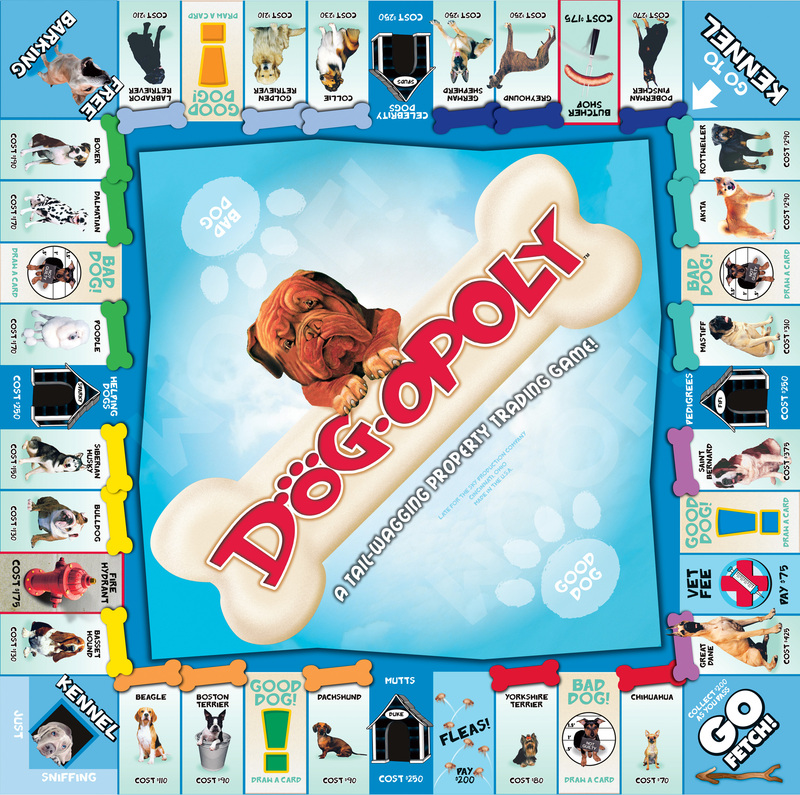 To play, adopt your favorite Frenchies, then collect Dog Toys and trade them in for Big Bones. 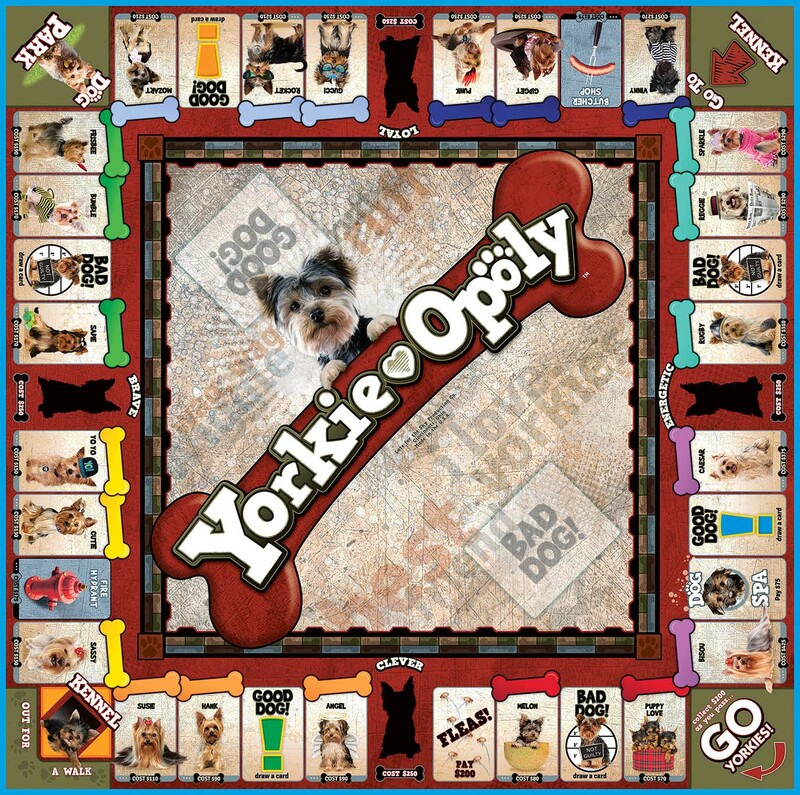 It’s all tail-wagging fun until you’re sent to the Kennel - then you’re out of the game for three turns! Who knows! You may win first place in obedience class… or you may end up with fleas! WHATEVER HAPPENS…IT’S A DOGGONE GOOD TIME!